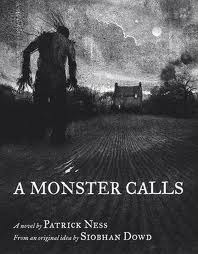 I was honored to be asked to participate in Patrick Ness’ blog tour that features his new book: A Monster Calls. You can see my glowing review here. 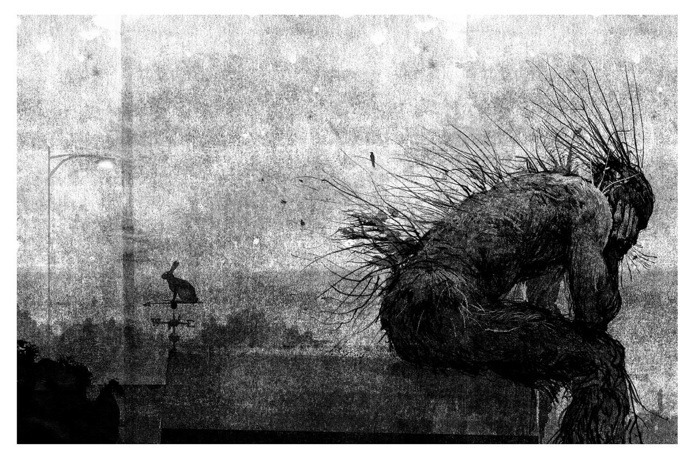 Monsters are a primary theme in both your Chaos Walking trilogy and A Monster Calls. They contain different types of “monsters.” Which monsters do you find most frightening? Which do you enjoy writing more? Ah, it’s an eternal question, isn’t it – and one I find endlessly interesting in writing – is whether there are actual monsters or whether there are just people who act monstrously (and who can therefore, theoretically, also act otherwise). Redemption is such a powerful theme for me, I think, both in writing and reading, and so the "monster" in Chaos Walking for example was tremendously good fun to write in the character of the Mayor. Because he was so polite and so clear-speaking and yet did such horrible, horrible things, which is gleeful in a way. But more interesting for me was that there was always the question hanging, could he be redeemed? 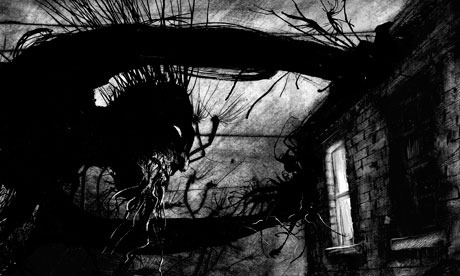 And then you get something like the monster in A Monster Calls. There’s the actual big monster, of course, who’s got monstrousness written all over him and who was also tremendously fun to write because he refuses to settle down into something easily explainable, even when he’s being nice. But isn’t the real monster the unnamed thing that Conor’s afraid of? Isn’t that the scarier monster? The one we can’t face, the one we can’t even imagine as a physical presence? I think that’s probably the scariest thing. The monster we fear inside us, so much so we can’t even look at it. Even though the mere act of looking is often enough to slay it. 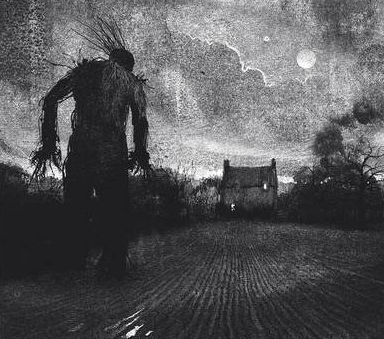 Another universal theme of your writing is the idea of “truth.” From the Noise of Chaos Walkingto the important truth that must be spoken in A Monster Calls, truth is central to both stories. Tell me about why truth is such a vital subject in your work. For me it’s a way of trying to deal with the complexity of people. We’re never, ever just one thing. Be it all the mess of the Noise or the incredible contradiction in Conor that he’s trying to live with that’s causing him such pain, for me it’s just trying to embrace that we’re more than a single idea or a single thought. We can believe opposite things to be true at the same instant. It’s what makes us human, and I suppose what’s important to me about the idea of truth is that, if we can be truthful about our complexity, about our contradictions, then they don’t have to be such a burden. We’re all in our own thicket-filled forests, trying to find our paths; wouldn’t it be nice to share the journey? I think truth does that for us. I hope so, anyway. There has been a lot of talk and news coverage lately in the U.S. about the darkness present in books for children and teens, and viewing it in a negative way. As an author who writes books that contain darkness and violence, why do you see it as an appropriate subject for young readers? My answer to this is always a very simple one: have you seen what teenagers write? I’ve judged teenage writing contests and the entries are beyond harrowing, darkness without relief past anything I or any other YA writer comes up with. Because that’s what being a teenager FEELS like, so what on earth would be the point in writing a book that says, "No, you don’t really feel that way." I never wanted to read that when I was a teenager, so why would I expect any teenager to want to read it now? BUT, if you do tell the truth about the darkness of things (which they know already) then when you ALSO tell the truth about lightness, about love and hope, about connection with another human being, about the possibilities of redemption and healing, well, then those things tend to feel more true because you haven’t lied about the darkness. I’ve said it before, but to not write about darkness and serious issues is, in one way, abandoning your teenage reader to face the darkness alone. And there’s just no way I’m ever going to do that. Huge thanks to Mr. Ness for participating and answering my questions so fully. My favorite answer is his last and one that I will use in the future as a librarian when I am asked why we have such dark books on the shelves for teens. That last bit of the last answer Mr. Ness gives is a lot like what my mother used to tell me about why she never let me believe in Santa — she wanted to tell me the truth about everything, so I would believe all that she said. For some people, that doesn’t make sense, but I get it. And I hope that I, too, as a writer, can tell the truth, and the whole truth, no matter what. You asked some really good questions, Tash. Thanks! Oh, and I was also a child whose parents did not allow me or my siblings to believe in Santa. It was about truth for my parents too. And with my children, they too were told the truth about Santa. Interestingly, my second son decided he preferred to believe anyway for a year or so. I’m a big believer in reading and books as a way to find truth, even in fantasy. There is a truth in seeing the world through someone else’s eyes. An honesty that must be present for it to really work.